« Local readers, your input is needed! Some of the pleasures of having a little piece of land to call your own are direct. 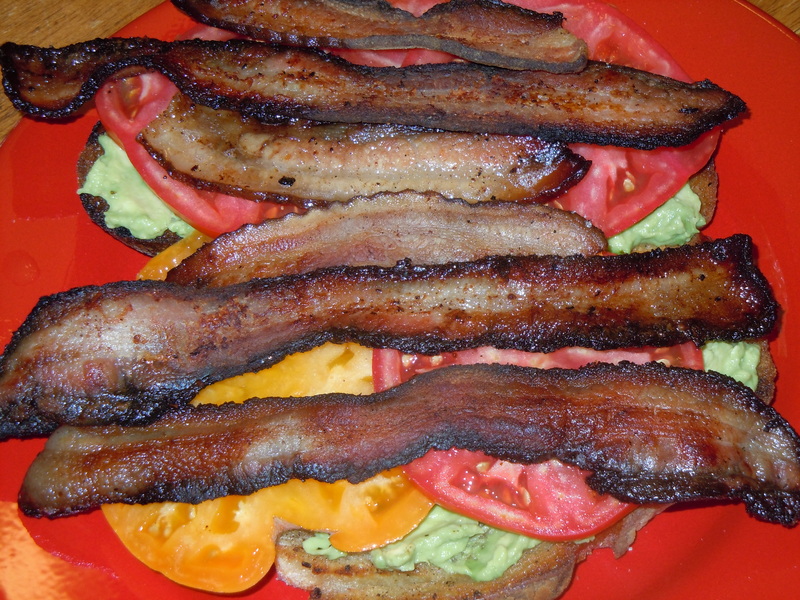 The joy of a perfect bacon, avocado, and tomato sandwich in late summer, with bacon cooked on the grill campfire-style and bread toasted likewise, and the juices of a perfect beefsteak tomato running down your chin, gratifies a hunger that goes well beyond the physical: the hunger for one simple thing in your life to be exactly right. Then there are the hungers that aren’t physical at all, and that you don’t even know you feel until they are unexpectedly fulfilled. 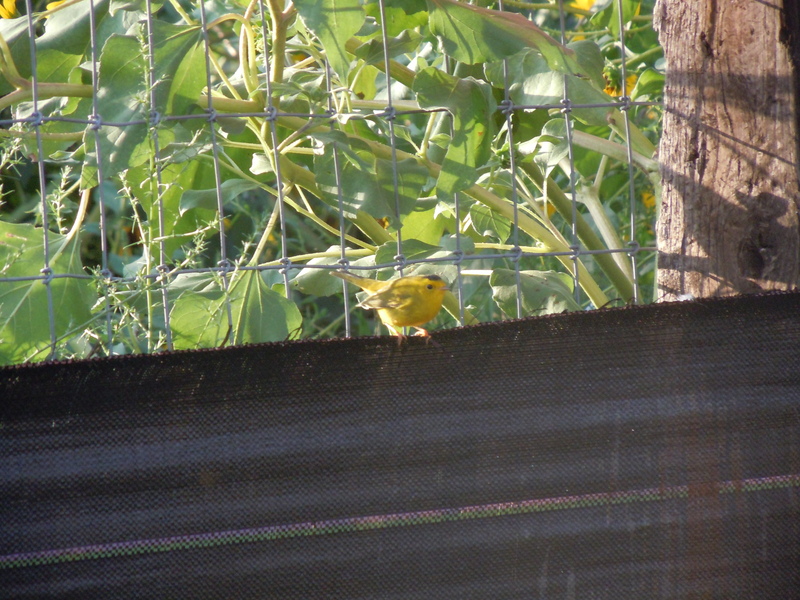 I was reminded how lucky I am to be able to have a mini-wildlife refuge in my back yard when a couple of mornings ago, while I trudged around feeding the animals and wishing I was back in bed, I realized that a little flock of Wilson’s warblers was bouncing around in my sunflower jungle. They came out to watch me, and one graciously posed for a picture before heading down the flyway. 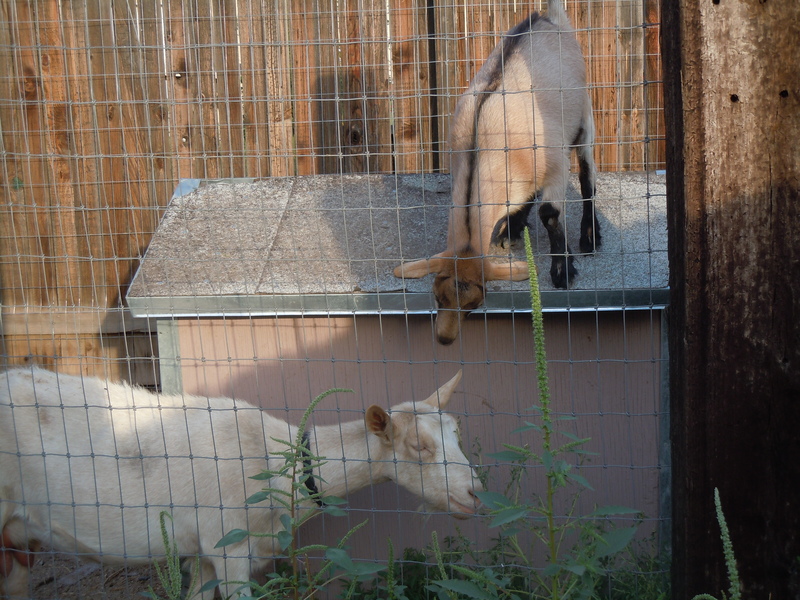 Then there’s hearing the “clomp” as my doe kid, Cocoa, practices her newfound skill of leaping onto the roof of the goathouse. 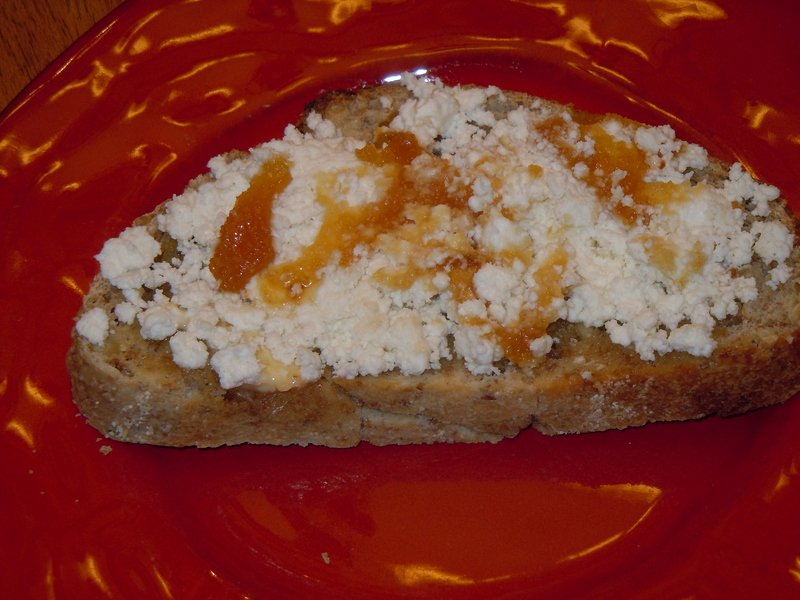 A breakfast of grainy bread spread with homemade goat cheese and drizzled with honey makes me purely happy to be where I am in the morning. On September 11th we were reminded as a nation that life contains tragedy, disappointment, and sickening despair. Only a fool finds it easy to live in a stance of perpetual gratitude. But there are these radiant moments that push us to remember that there is also beauty, connection with the Earth, and genuine reason for gratitude. May our lives, and the intertwined lives of all the creatures of the planet, continue to draw us toward wholeness. What a wonderful post to see on FB this AM–a little bit of everything and a sandwich photo that will keep me hungry all morning! Thank you. Excellent site. Great post. Well done.